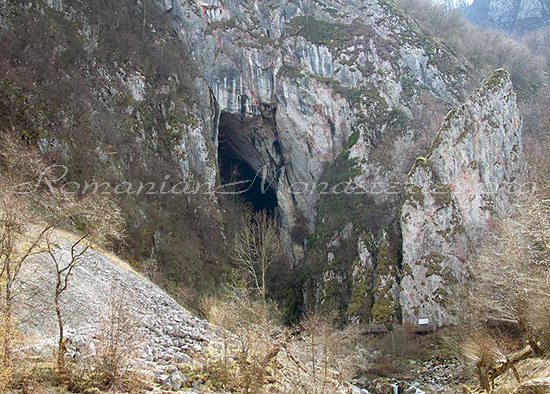 Known as the most imposing and splendid lime formations in Romania, Cetatile Ponorului (Fortress of Ponor) lie in the Apuseni Mountains, more specific, in the Northern part of the Bihor Mountains, almost 10-15 km away from Pietroasa commune, Padis area. 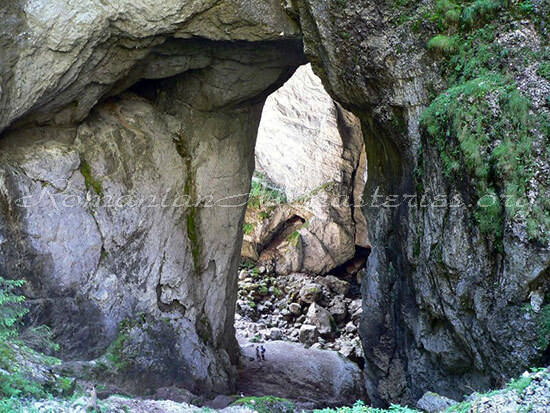 The touristic area of Padis consists of Cetatile Ponorului basin that has an area of 36 square kilometers (including Galbenei Gorge and The Flowers’ Glade) in the South-Western part and of Somes Gorges, Varasoaia Glade and Caciulata Glade in the Northern part. Cetatile Ponorului (Fortress of Ponor). Cetatile Ponorului were declared a natural reservation in 1952 and soon after that they became a natural monument, belonging to the Romanian Academy. These fortresses are built of three large circles of stone (dolines), assembled in an afforested depression. 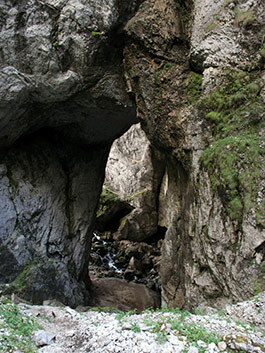 The circles of stone are 300 meters deep and more than 1 km in diameter. 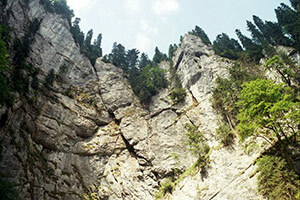 The name of Cetatile Ponorului (Ponor Fortesses), as a matter of fact, comes from what it may be called the surface sector of this karst phenomenon. The access way starts with a forest road which leads to the first circle (Doline 1) by passing a bump field which is parallel to Cetatilor Valley. The lateral Western wall (more than 150 meters high) presents a portal whose altitude is higher than 70 meters. 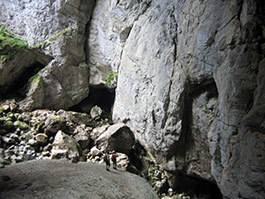 To the right, one may see a mosaic of scree leads to the second doline through an arcade. 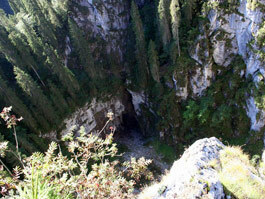 This second doline is in fact a circular abyss that has an altitude of 200 meters. 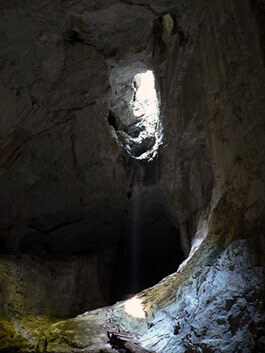 One may reach the third doline by climbing the metal stairs that are situated to the left of the portal. It’s worth mentioning that on the bottom of the dolines the air is always maintained cold. 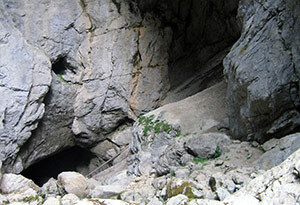 The visiting of the balconies (there are four balconies, two of them are situated above the third doline and the other two above the fourth doline) can be made in two ways: entering the Southern part of the access way or directly from “Grajduri”. 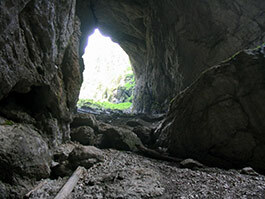 Doline 2, Cetatile Ponorului (Fortress of Ponor). Species of plants that can only be found in the Northern Europe or in the tundra grow also here. 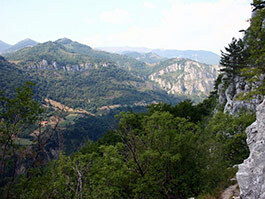 The landscape is amazing, because of the pine trees that seem drawn on the stone walls. 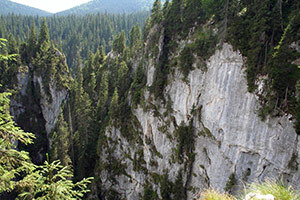 This happens a phenomenon unique – in the valleys of the mountains, one may see coniferous forests and on the peaks of the mountains there are deciduous trees. This phenomenon is caused by the thermic inversion which is triggered by the karst areas, and as a result, the temperature in the valleys is much lower. 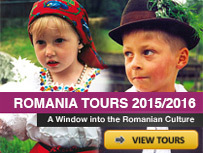 The entry gate to the Cetatile Ponorului (Fortress of Ponor) has 74 m height. I KNO WHERE I WANNA GO ON VACATION NOW…….THIS PLACE IS SWEET!! !